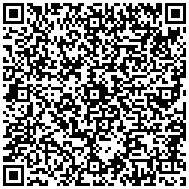 Concord Travel is already in Kutaisi and Batumi! Tour operator Concord Travel Georgia, Caucasus offers you exclusive prices for hotels at ski resorts Bakuriani and Gudauri! Are you looking for a truly unique tour - something absolutely new and at the same time as old as ancient Greece? Than Concord Travel has what you are looking for: visit to incredible land of Georgia and the South Caucasus. The country of Golden Fleece, a birthplace of wine, fascinating dance and polyphonic songs, a place where there are no hosts and no guests, where all can travel to discover something special, without which life would be incomplete. You can visit, see and feel, fulfill your dreams, make your trip a magnificent adventure, meet people connecting old culture and tradition with ultramodern life, locals with great soul and a great instinct of ancient hospitality. Do you want active or relaxing vacancy in absolutely new surrounding in multi climate Caucasus Region? Reach Georgian, Armenian and Azerbaijani icy peaks or stay in relaxing comfortable hotel on seaside. Choose any tour with our travel agency and use your opportunity to make your wish true. 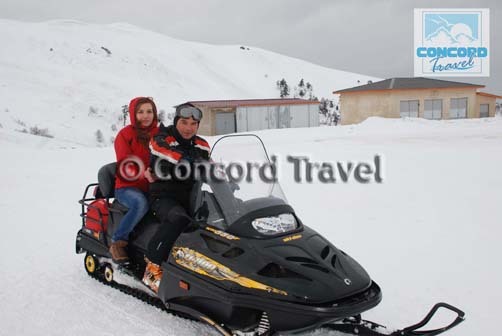 “Concord Travel”, the leading tour operator in South Caucasus, always will take care of your holidays. Let tour operator Concord Travel be your traveler's key to the Caucasus region to make sure that you enjoy your travel and take unforgettable memories with you. You will be able to cover the wide range of its beautiful landscapes, unique nature and great variety of its climate zones, feel Georgia’s truly pleasant climate throughout a year from summer tours for nature lovers and trekkers till winter for skiers and mountain climbers, and in between the autumn beauty of vintage and traditional harvesting. If you happen to come for your business you can still combine your work with great leisure times. From sea to the top of mountains – tour operator Concord Travel, Georgia and South Caucasus are waiting for you. Feel yourself in real Paradise. With best wishes, "Concord Travel". Georgia, Armenia, Azerbaijan. Visit these three countries is the perfect introduction to their great culture, rich spirit and diversity. Travel through the rolling hills and lush valleys, beautiful and scenic Caucasus Mountains and lakes, ancient architectural monuments and fascinating villages. Did you decide to Travel in Georgia, Armenia and Azerbaijan, the whole Caucasus, very Exotic, Great Cultural, Historical and Spiritual Countries? You made the best choice! YOUR DREAMS HAVE NO END? OUR IDEAS HAVE NONE TOO! Concord Travel - Tour Operator and its Travel Agents in Georgia, Armenia and Azerbaijan offer you to Travel and Discover Georgia, Armenia, Azerbaijan, the whole Caucasus, feel, taste, live and breathe their lives. Concord Travel Caucasus is a vacation and travel Incoming Company which specializes in the business of travel premiums and incentives. We offer comprehensive travel incentive programs which include Tours in Georgia, Tours in Armenia, Tours in Azerbaijan. Providing a full range of the highest quality business and leisure travel products and services to corporations, groups and individuals. Come and visit 3 of the most wonderful countries in the Caucasus: Georgia, Armenia, Azerbaijan. Georgia, Armenia, Azerbaijan are the major destinations for tourists. We offer guided and specialized tours, travel guides, and attractive discounts and packages. discount schemes are indeed likely to make life easy for the uninitiated beginner. Choose or create your own tours: Cultural and Adventure, Wine and Gourmet Tours, Charming and Exclusive, Luxury and Family Weekend Tours, Youth and Corporative Tours, Extreme and Adventure Tours, Hiking and Riding, Alpine and Cave Tours; Rafting and Hunting; UNESCO Heritage, short tours in Tbilisi, Yerevan and Baku; West and East Georgia Tours, Black Sea and High Mountains, Silk Road and First Europeans' Tours. Touch the History and take part in the Legends. They will give You complete picture of culture, history, nature, grandiose mountains and traditions of Georgia. During these tours you will meet the local people who speak different dialects, observe different traditions, lead different lives, but all of them have one main character Georgian and Caucasian Hospitality in common. You have chance to live with high mountain villages life, as well to burn under the sun of the Black and Caspian Seas. Walk in the ancient cities and cave-towns. Let's follow the First Europeans or Argonauts; St. Nino or 13 Assyrian Holy Fathers; Marco Polo or Alexander Dumas. Climb up or view down from the 5047 meters high Mount Kazbegi, where Amirani, Georgian Prometheus was chained. Spend Your FREE TIME in Georgia and it will always stay on Your mind. Taste many traditional delicious dishes and famous Georgian wines. Be one of 700 guests at the Georgian Wedding-Party. Spend gaily and enjoy your holidays; Get closer to our grand history and culture; Travel in the past; Take pleasure from beautiful views of Georgian nature and splendid landscapes; Visit cultural and historical monuments and masterpieces; Listen to the Ancient National Folk Songs kept for the world future generations; Share the hot temperament, watching the Georgian Dances. Don't delay, contact us and your holidays will be more interesting, impressive and emotional. Our Team of Professionals: Tour Managers, Guides, Instructors, Drivers, Photo and Video Operators will meet and make You sure, that Georgia is small by the territory, but the greatest and deepest by its culture. Concord Travel together with its own Transport Company Concord Motors has gained a great trust and experience in servicing the foreign visitors, well known travel companies and brands. Professionalism, comfort and safety are most important for them, as well for us. We offer different tours programmed especially for you, Your Family and Friends. Tour operator company Concord Travel in Caucasus offers You a big variety of tour packages. You can travel with guaranteed departures that are offered by the tour operator Concord travel. You are able to choose the given guaranteed departures presented by Concord Travel during that exact period of time You would like to and travel with much lower price than travelling individually. Also You have a great opportunity to get recognized to the people from Your or other foreign countries who are joining that tour as well as You. Nevertheless Concord Travel can also create an individual tour package for You foreseeing that special wants and needs of a tourist, suitable to Your desired time period and direction. Concord Travel is pretty well experienced in working with individual and big tourist groups. Travel to the south Caucasus and You will see three different religions and civilizations united on a such small territory. Georgia, Armenia, Azerbaijan – these are the countries where the tour operator company in Caucasus Concord travel is a leading incoming tourism company with its service of high level quality, low prices and great experience what makes it the leader in the south Caucasus.